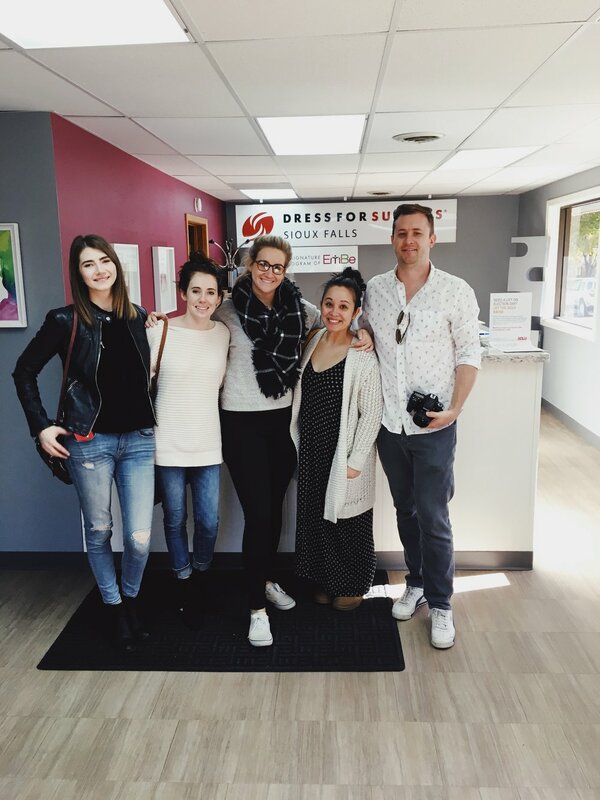 Last week, The Sampson House had a fun opportunity to volunteer our time and skills with a cool local non-profit, Dress for Success. As an Embe affiliated organization, the mission of Dress for Success is “to empower women to achieve economic independence by providing a network of support, professional attire, and the development tools to help women thrive in work and in life.” Part of a global movement, DFS offers its clients more than just a new outfit. The program strives to instill its clients with the confidence of knowing that she drives her own future and that she can actively define her own life. By curating a successful photoshoot, featuring outfits hand picked from the DFS closet, we were humbled to help the organization by providing a gallery of photos they can use for their own event promotion and marketing purposes. Take a look at some of our model shots from our morning spent at Dress for Success! The Dress for Success November closet sale is happening soon! Check them out here for more details or follow on Facebook for more details.